Mali beat Ghana 1-0 to emerge Champions of Total U-17 African Cup of Nations Gabon 2017 on Sunday. Seme Camara scored the only goal from the spot kick in a hotly contested match. Sunday’s victory was the first time a defending champion successfully secured the title and the Aiglonnets joined the rank of countries like Nigeria, Ghana and the Gambia that have won the title twice since the championship was launched in 1995. 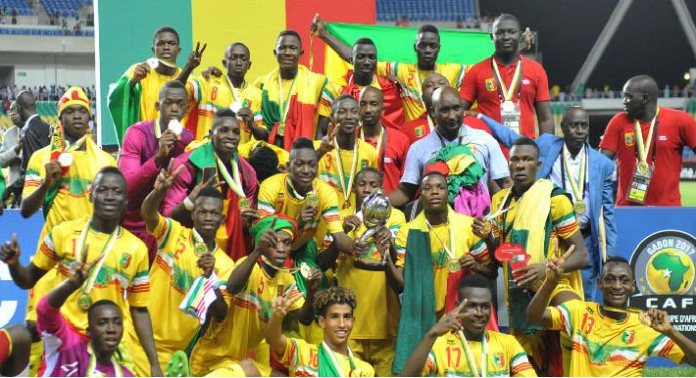 Mali as champions will lead the continent’s quartet including Ghana, Guinea and Niger to the forthcoming FIFA U-17 World Cup to be hosted in India in October.